Mobile App for automated forex trading with new risk management tools. ForexTeam helps people to trade with confidence on financial markets. If you would like to copy ForexTeam signals to your Metatrader 4, I will explain you here how to do this step by step. Sign up and copy forex signals for free. 1. You have to download ForexTeam App from Google Play / App Store and install our App in your mobile phone. + change your profile and app’s settings etc. 1. Download ForexTeam client-adviser and internetlibSSL.mqh library for your trading platform Metatrader 4 on your computer. Click here to download zip-file with ForexTeam software for Metatrader4. 2. Copy ForexTeam client-adviser to Metatrader 4 folder “Experts” (full path could be /Metatrader4/MQL4/Experts). 3. Copy internetlibSSL.mqh library to Metatrader 4 folder “Include” (full path could be /Metatrader 4/MQL4/Include). 4. 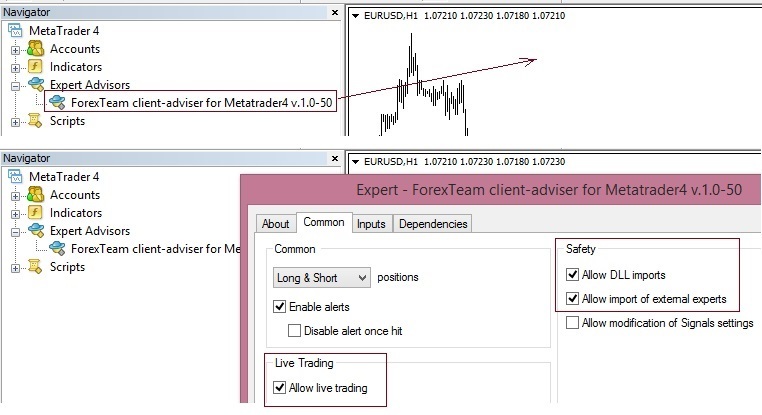 Drag ForexTeam client-adviser from MT4 Navigator window to 1 (ANY) chart and allow “live trading” and “DLL imports”. In Metatrader 4 menu “Options” under “Expert advisors” you should set “Allow automated trading”. Please, save all this settings, close and open again your Metatrader 4. 5. Login to ForexTeam App, go to the menu “Settings” and set your Metatrader 4 account number. Do not forget to activate option “copy signals”. Save all this changes in App. 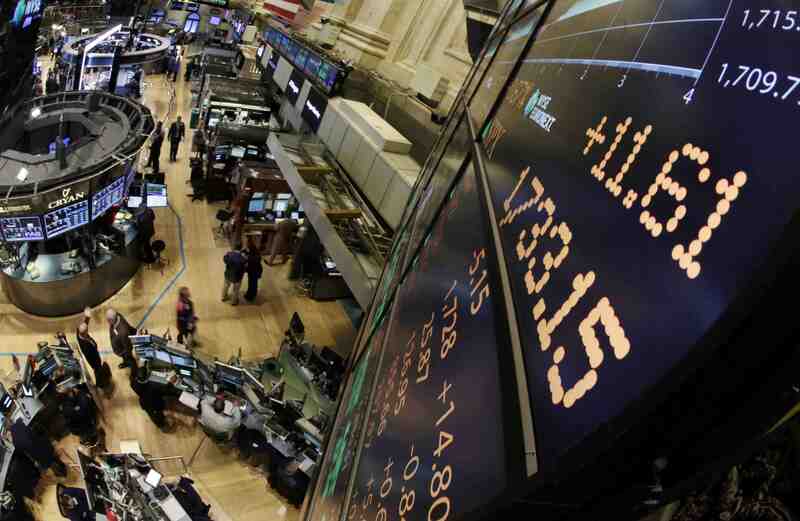 + buy/sell operations on financial spot markets etc.